Keanu Reeves in a Super Bowl commercial for Squarespace. With the Super Bowl on the horizon, we can expect all sorts of wacky commercials that might not have anything to do with the product being sold, but that doesn't mean that we can't enjoy them. 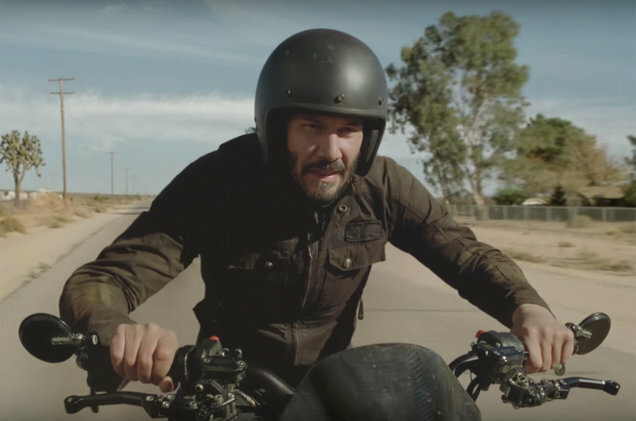 Website-building service Squarespace's latest Super Bowl effort features Keanu Reeves performing a death-defying maneuver on a motorcycle. As the commercial goes on, Reeves finally stops his dangerous stunt, as he sits down on the bike and rides into the sunset. The end of the clip directs you to a link to a second video in which you can "Make it Happen" with Reeves.